Why fix what’s not broke, right? Seems this might be the official logo for The CW’s take on ‘80s hit “The Lost Boys”. The pilot, which has been lensing in Vancouver under the direction of Catherine Hardwicke, essentially tells the same yarn as the 1987 film – so why not go with the same branding, right? As you’ll see, the logo is significantly similar to that used for Joel Schumacher’s classic film version but with a small but noticeable difference – there seems to be a drop of blood coming off the T.
The CW’s “Lost Boys” started lensing March 13 with Vancouver standing in for coastal city Santa Carla. The quintessential beach town, located in California, Santa Carla, you’ll remember from the film, plays home to Carla Beach Boardwalk, the West Coast’s oldest surviving seaside amusement park – so expect to see that on the small-screen version, too. For the film, Santa Cruz, on the north end of Monterey Bay, California, played Santa Carla. But for the sequel, “The Lost Boys: The Tribe”, they shot in Vancouver. The new series, featuring Tyler Posey, Kiele Sanchez, Medalion Rahimi, and Dakota Shapiro, plays the same card as the movie, retelling the story of two brothers (Posey as older brother Michael) who discover their new hometown is a haven to vampires. “Coming 2 America”. Big sequel. Highly anticipated. One of the few Eddie Murphy-headlined sequels they have been able to get off the ground – looking at you “Beverly Hills Cop 4”– and rather quickly. It’s headed towards the cameras soon, with both Eddie Murphy and Arsenio Hall reprising their roles from John Landis’s timeless 1988 comedy. The casting folks behind “Empire” are casting this, slotting the supports into place as we speak. There’s little Paramount have released about the movie, only that it somehow involves a ‘son character’ – but you know what? I have more! (courtesy the same Paramount insider that tipped us off to the “Grease” prequel plans for the original leads last week) I have the plot.. and it promises to be as welcomingly humorous as it does hearty. While in the first film Akeem had to find a wife, and bring her back to the homeland, in this one he’s out to bring his American son back to Zumanda. If the son is willing to replace him as prince, then Akeem gets to be King. Akeem’s long-lost son LaVelle is essentially living the flip side life to his father – he’s permanently ‘trapped’ in Queens, he is broke, he is working at a burger place just to make ends meet, and his boss (Big Reem, guy that lives at home with his mom) is no McDowell. It’s on his 30th birthday that LaVelle starts to get a deeper itch to do more and be more. He gets that wish when he discovers he’s heir to the throne of Zamunda – where the father he never knew, Akeem is a prince – and is soon about to be King. Cue the airplane! And yes, there’s a girl – – Zamundan Mirembe, whose parents have disowned her for becoming a ‘groomer’ – – but knowing she won’t pass muster with the royals, LaVelle doesn’t initially give it a thought. LaVelle has to first stop chasing gold and stop trying to be someone he’s not (and it’s Mirembe that ends up being the voice of reason), and realize he’s already got plenty. Maybe she’s his calling… and maybe royalty isn’t? Yep, that old nugget. A better match for the throne might be Akeem’s eldest daughter, Meeka, an intelligent born-leader whose theories (especially in relation to Akeem’s rival, General Izzi are concerned – she knows he’s up to no good, Akeem thinks otherwise) and suggestions for her future ‘King’ father are right on the money. You can see where this is going…. Meantime, Dave Chappelle is rumored to be reuniting with Murphy for the flick. According to That Hashtag Show, Murphy’s “Nutty Professor” co-star would play Baba, an old shaman from Zamunda that advises King Jaffe (James Earl Jones) and later Prince Akeem (Murphy), in the Craig Brewer-directed sequel. Production kicks off on the film, which will also star Arsenio Hall, Shari Headley and John Amos, later this year. My palms are infused with music today, helping me type up a couple of small updates on some tune-motivated projects that we’ve been following. Firstly, remember the “Selena” series that was announced back in December? I’ve got confirmation today that Netflix are shooting two seasons of it back-to-back. Moisés Zamora has crafted something special here, and everyone is confident it’s going to hit, so they’re going large here. As for who will play the Latin icon and pop sensation? they haven’t found her yet – but casting directors have commenced their scout the young Quintanilla. The production is looking for a Latina actress, to play late teens-mid 20s, with an excellent singing voice. Obviously, since they’re keen to film these two seasons soon (the series starts lensing August 26 but musical rehearsals begin first week of June), it’s getting to crunch time. Meantime, a small exclusive bit on the newly-announced “Grease” project, “Summer Loving”, over at Paramount. Firstly, the project has come about – not all surprisingly – because of the success Fox and Universal have had with their sing-a-long flicks in recent years, in particular the “Mamma Mia!” films and “The Greatest Showman”. Tunes produce coin. Paramount are very keen to get the “Grease” film moving while the musical is back in mode, and have hired big-time scribe John August (“Big Fish”, “Aladdin”, “Charlie’s Angels”) to take a crack. Why such a heavyweight for a film that won’t even feature the Danny and Sandy we love and know best? Because it will feature them. Much like the “Mamma Mia!” sequel, released last year, the plan is to have Olivia Newton-John and John Travolta reprise their roles as Sandy Olsen and Danny Zuko, respectively, in book-end scenes. They’ll essentially be looking back on their relationship – and how they fell in love… over those Su-ha-mme-rrr Nieeets..
Paramount have been trying to get a third “Grease” movie going for years, and have wanted Newton-John and Travolta back for every incarnation. They’re a big reason for the original hit’s success, of course. Problem has been that Liv and John never went for any of the scripts – afraid they’d tarnish the original by doing a cheap ‘reunion’ movie – so, I’m guessing the studio has hired a big-time writer to make sure that doesn’t happen this time, and they won’t approach the duo until the script is as solid as it can be. As for why it’s a prequel? this was the only way it was going to work now. The years have ticked by too fast. Yes, the initial plan was to do a sequel, fixing on the duo’s kids, but that went away a decade ago or so. The search will be on soon to find a charming Italian-American and pretty Australian no doubt. Former “Spider-Man” gets in over his head on the net again! So, as you’ll have read in recent months, Gia Coppola (“Palo Alto”) has nabbed former Spider-Man Andrew Garfield, Maya Hawke and Nat Wolff for her new hot-button drama “Mainstream”. Some strong talent in that unit. After a few quiet months on the project, I’ve some new information on the film, including previously unreleased plot details. So, the movie will feature the trio as a social media poster, actor and writer who join forces to create an anti-social media YouTube video that goes wildly viral. 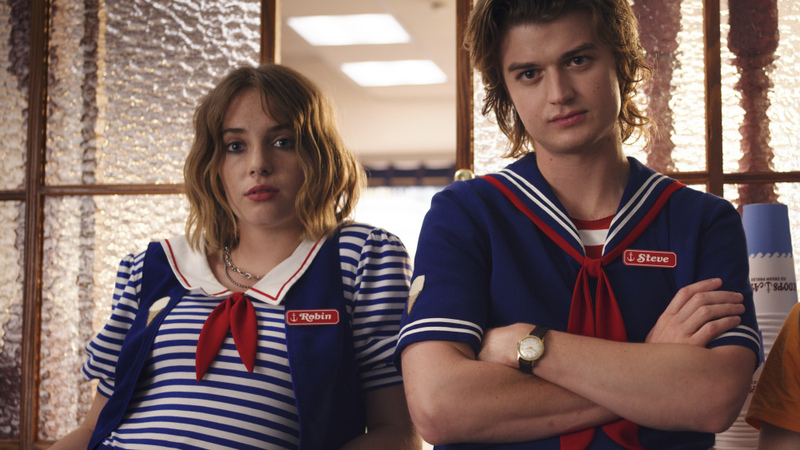 This puts Frankie (Maya Hawke), Link (Andrew Garfield and Jake (Nat Wolff) in a position to accept a lucrative offer from a producer has the potential to make them superstars. But, as these things sometimes go, as the content scorns the social media that’s responsible for their big breaks, their lives and values change after a young woman commits suicide after being pressured by Link on one of his shows. Originally reported to be filming towards the end of 2018, the film actually begins principal photography the end of next month (May) in L.A.
Coppola wrote the screenplay, which is – I’m told, very, very good – with Tom Stuart for Automatik (“Destroyer”, “Little Fish”).